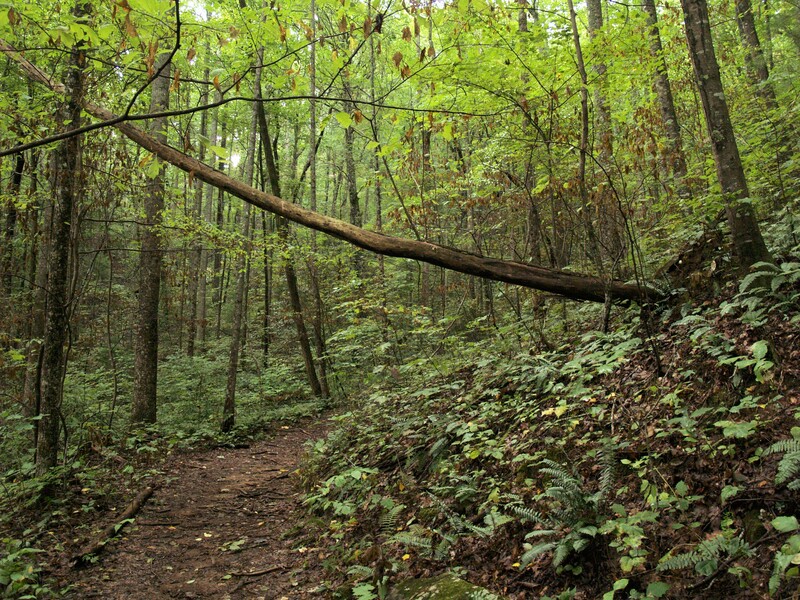 Hiking. Was that banjo music? The nice thing about retirement is that we can make our own rules. Who says you have to stay aboard when you are on a sailing adventure? Especially, if really nice folks, invite you to visit them in the mountains! 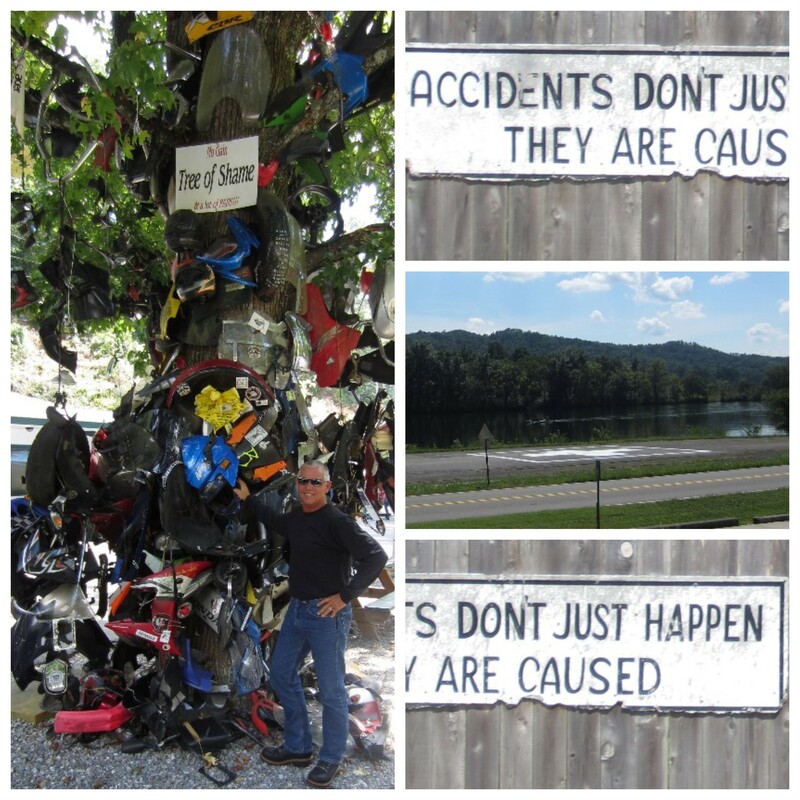 We ended a perfectly wonderful and fabulous summer, with a fun little side trip during Labor Day Week to the mountains of Blairsville, Georgia. 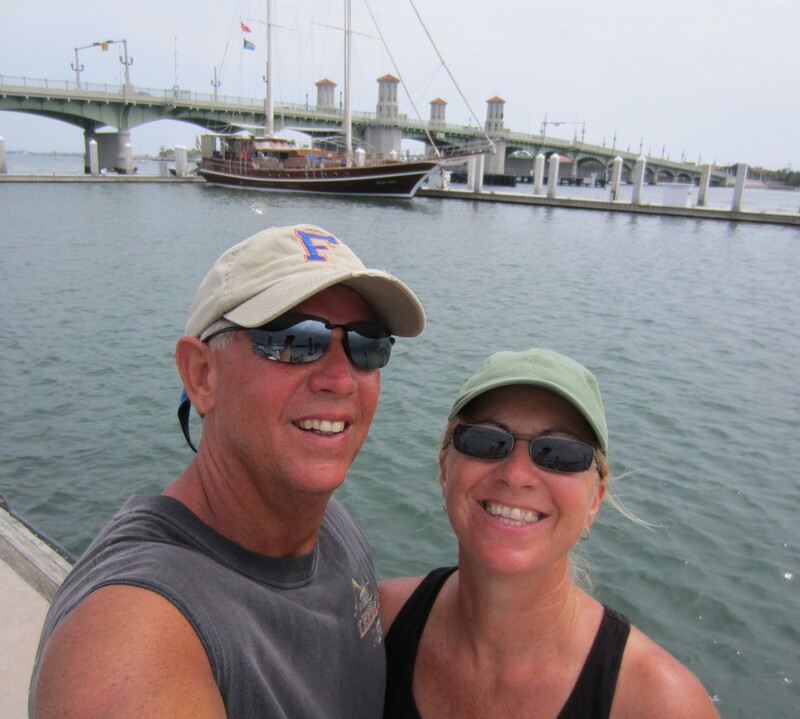 Our sincere thanks and appreciation go out to Rick and Jennifer for having us and for making our week so special. 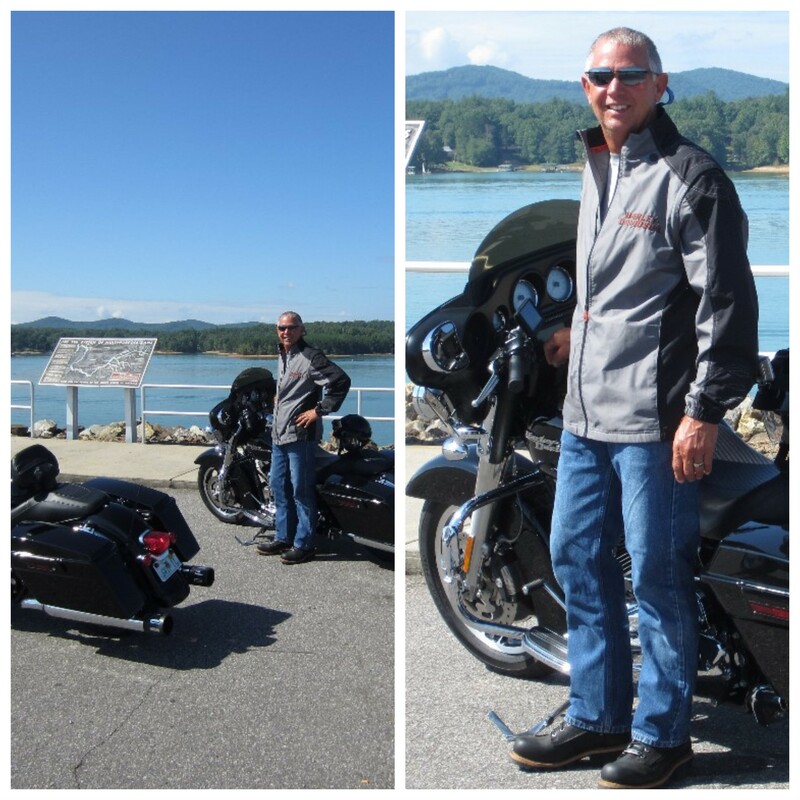 Our days included; Harley riding, switchbacks, waterfalls, food, porch sitting, mountain views, hummingbirds, spa day, antiquing, target shooting, and hiking. Our nightly games of spades didn’t immediately fracture any friendships or end any marriages. 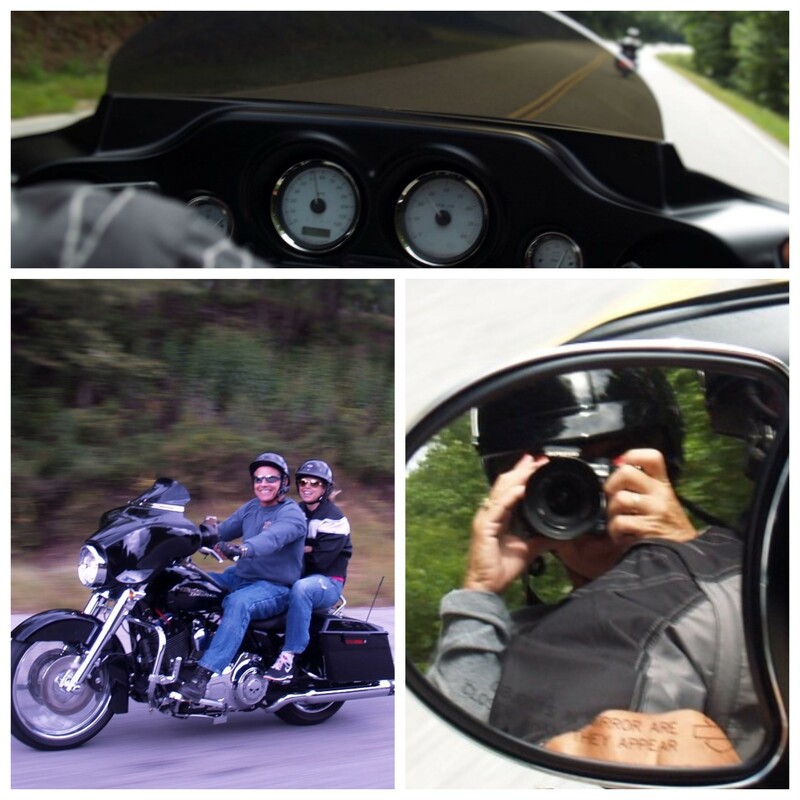 Saturday, we loaded up the bike, dropped the babies off for a little dog-vay-cay and headed out towards Blairsville, GA. We were so excited to get Georgia gas prices, we had to take pictures. 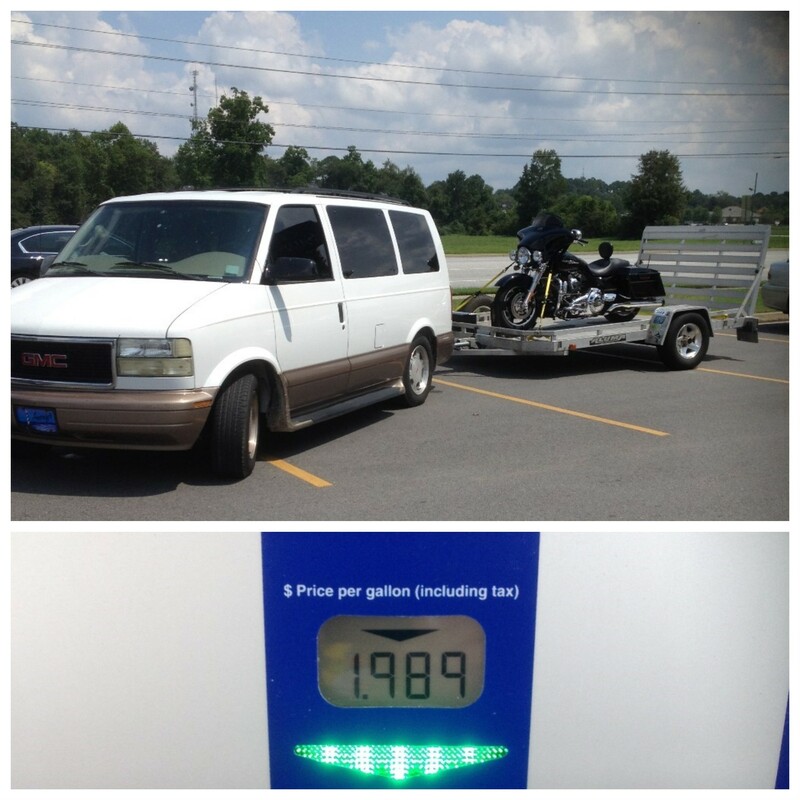 On Our way to GA and great gas prices to boot. We arrived Sunday in time to unload and head over to Brother’s for lunch…liver and onions for me…mmm…mmm, and everyone else enjoyed their choices too. 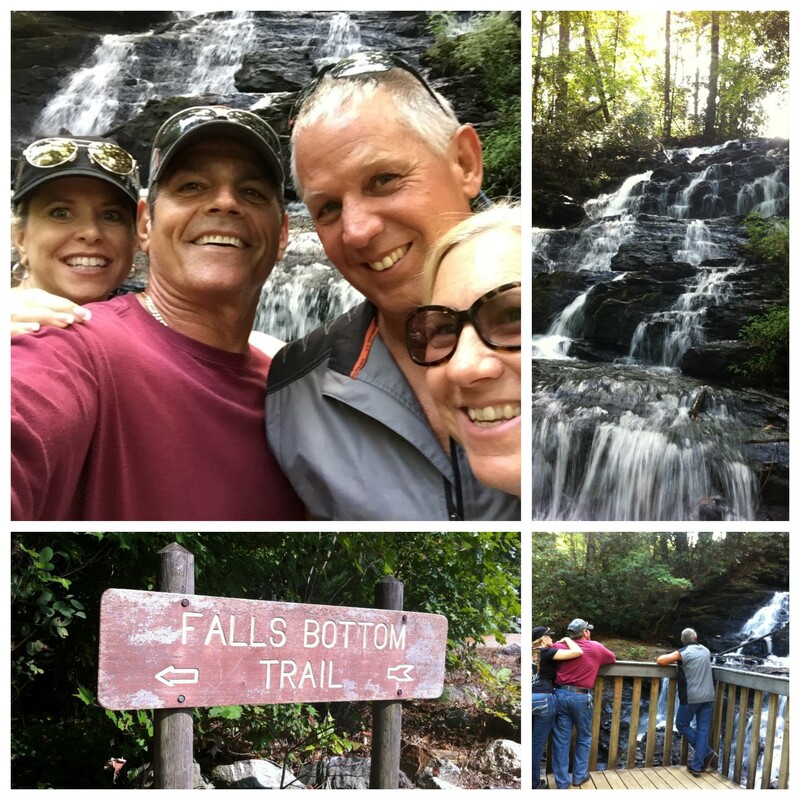 We rode the bikes to Vogal State Park and took an leisurely hike down to Trahlyta falls. Monday morning early, I was able to make it up the steep grade to hike the mountain, no little task for this sea-level girl. I enjoyed the scenery and took lots of photos. 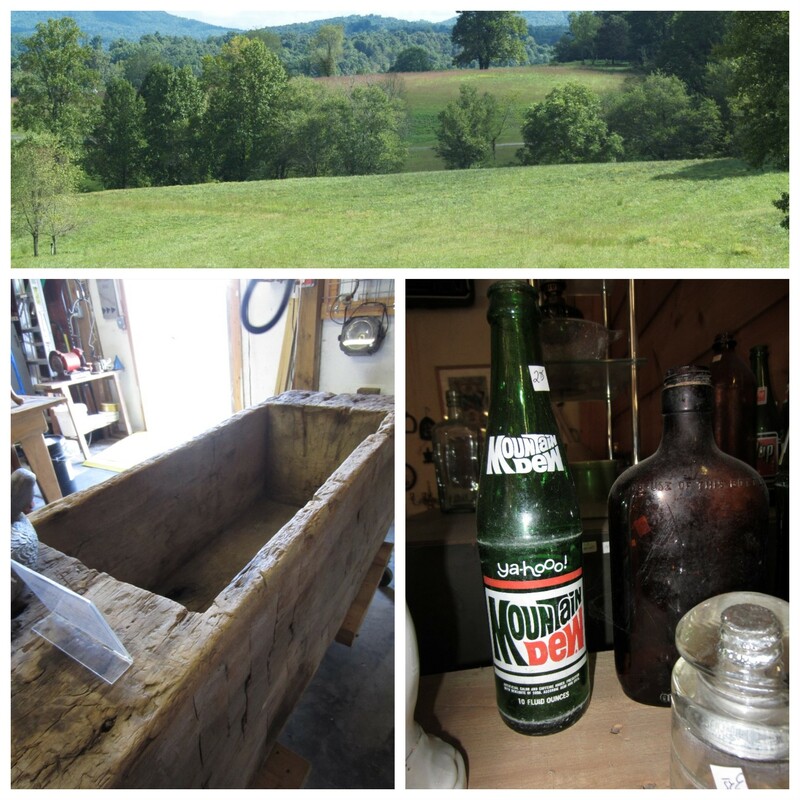 After breakfast, the guys went riding and us girls went antiquing and grocery shopping. 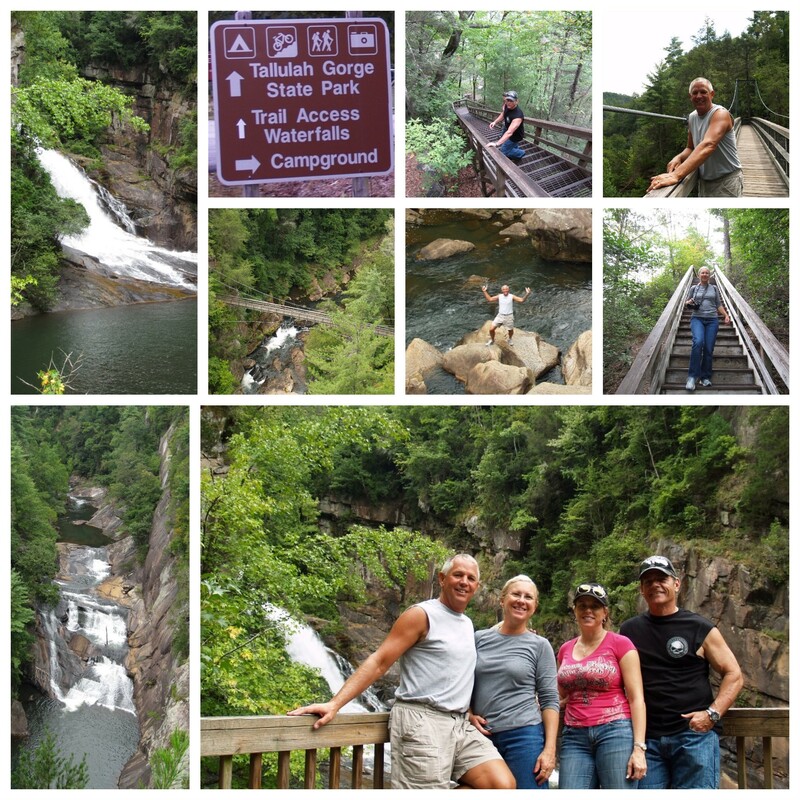 Tuesday was an exciting day of riding to Tallulah Falls and to Helen. I only took 588 pictures! I tried to count the steps, but ran out of fingers and toes. 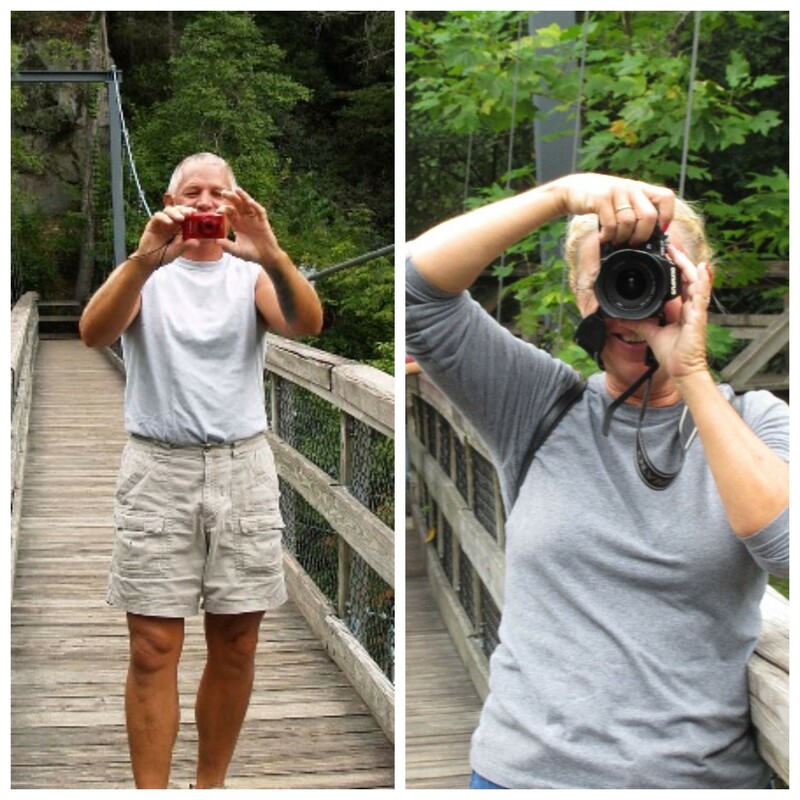 The suspension bridge and falls were awesome, the hike back to the top…not so much. 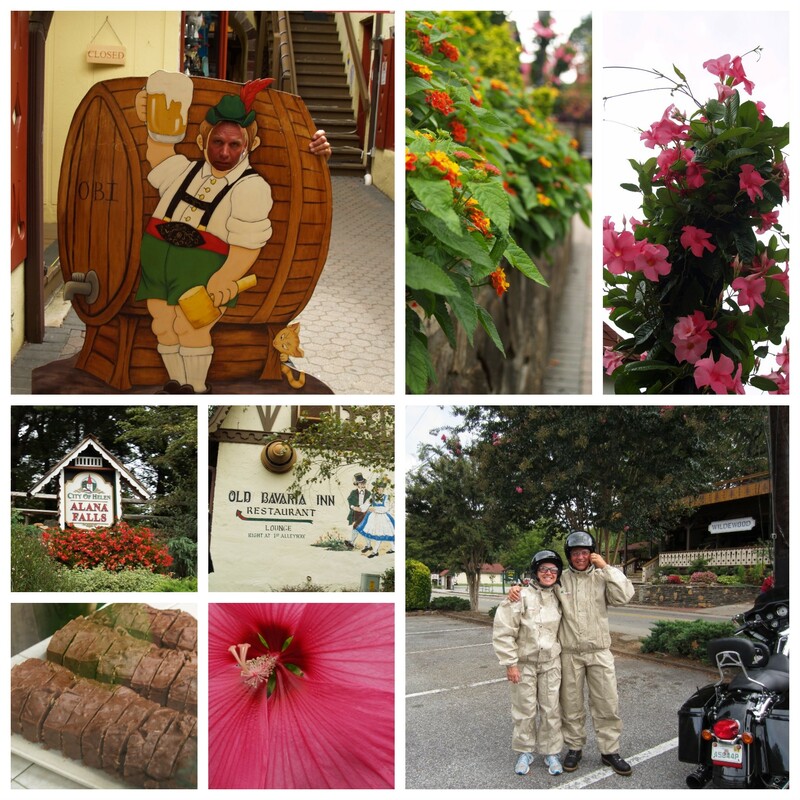 Lunch at the Old Bavaria Inn, and fudge from the Kopper Kettle, in Helen, were scrumptious. 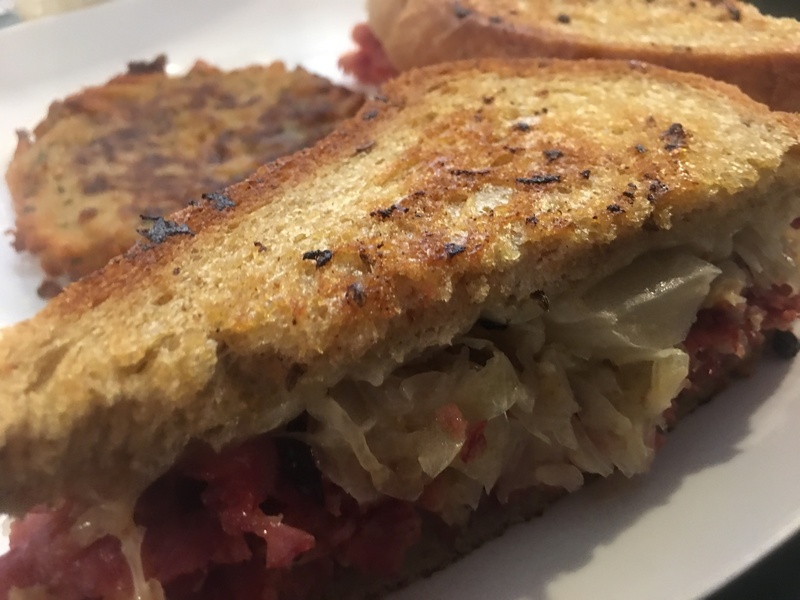 I recommend the reuben sandwich for sure, it is marinated in their own special sauce and melted in my mouth. Almond Joy fudge, say no more! The town was a little “cutesy,” but the flowers were beautifully in bloom and about to get some rain to keep from wilting. Wednesday was spa day. Jennifer took me to Serenity in the Mountains Spa, in Blue Ridge, and it was outstanding. Joyce gets my vote for masseuse of the century. Our day also included facials and pedicures and as much time as we wanted in the steam room and sauna. The atmosphere was like being at a lodge, with log walls and wood ceiling, an over-sized fireplace, comfy lounge chairs and beautiful decorations, all taking you to another time. I will drive out of my way someday in the future to visit there again. In spite of the rain, the guys went riding. We waited all week for Thursday. 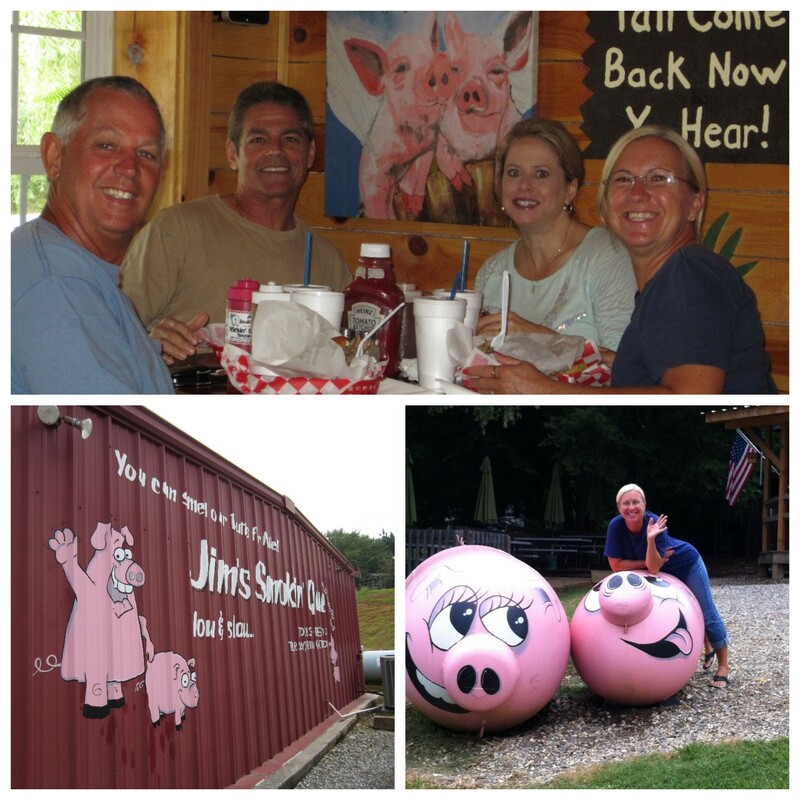 That’s when Jim’s Smokin’ Que opens back up for the weekend. This was our second time eating here and it was as good, if not better, than the first. The guys went riding after Smokin’ Que, out to Nottely Dam to check out how TVA does things. Friday morning, us girls headed out for some antiquing, shopping and lunch. We found some interesting antiques and some clearance items at Alexander’s. We also had the most delicious Cuban food outside of Miami, I totally recommend Dan’s. Get a Cuban sandwich and a roasted pork sandwich…doggie bag any left-overs for a late night snack. 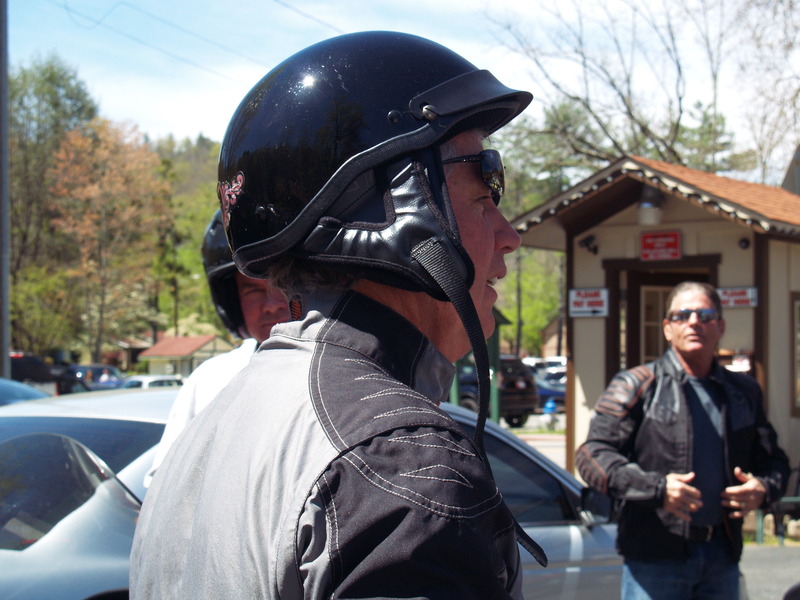 Did I mention that the guys went riding? They logged about 1,000 miles for the week. 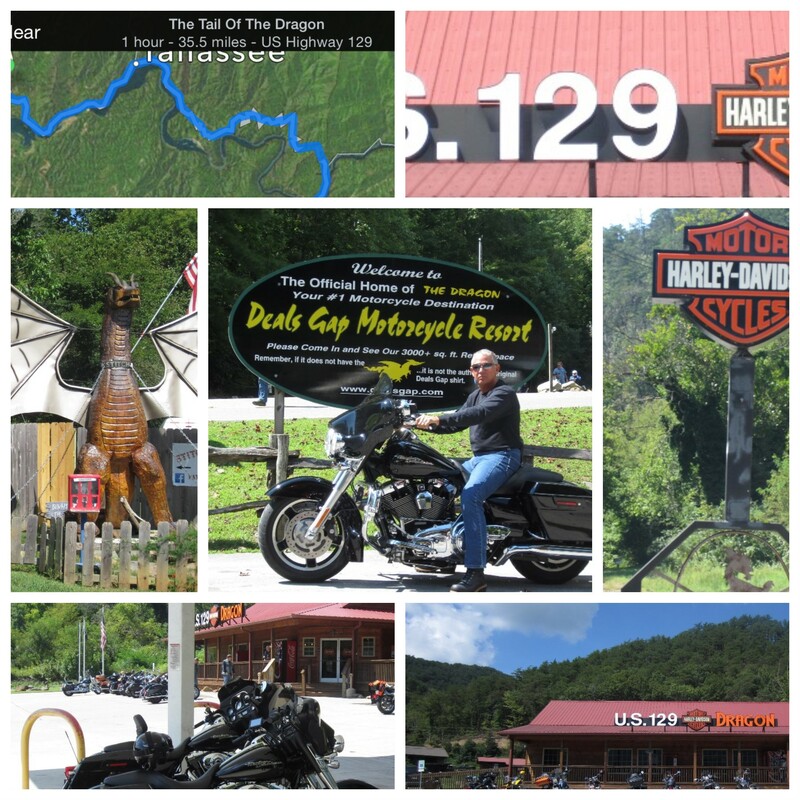 Wednesday may have been rained out, but all things worked out, because Friday could not have been a more gorgeous day for their ride through Deal’s Gap, The Tail of the Dragon. 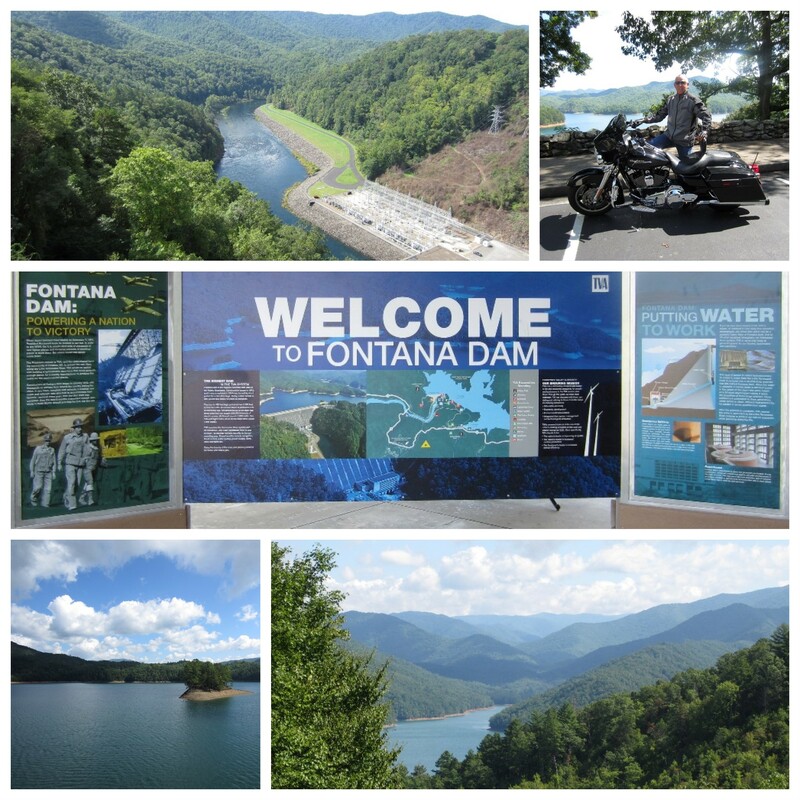 First they stopped by Fontana Dam, just to make sure TVA did hydro-electric right. I guess the NEE guys approved, they didn’t note any infractions. Then it was on to the real ride. 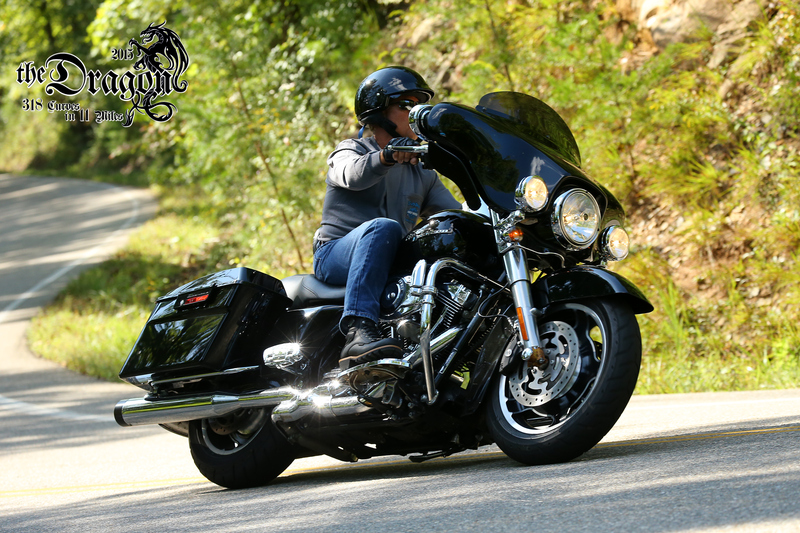 There are 318 turns in 11 miles on the Tail of the Dragon. They rode to the top and back down and enjoyed each turn twice. 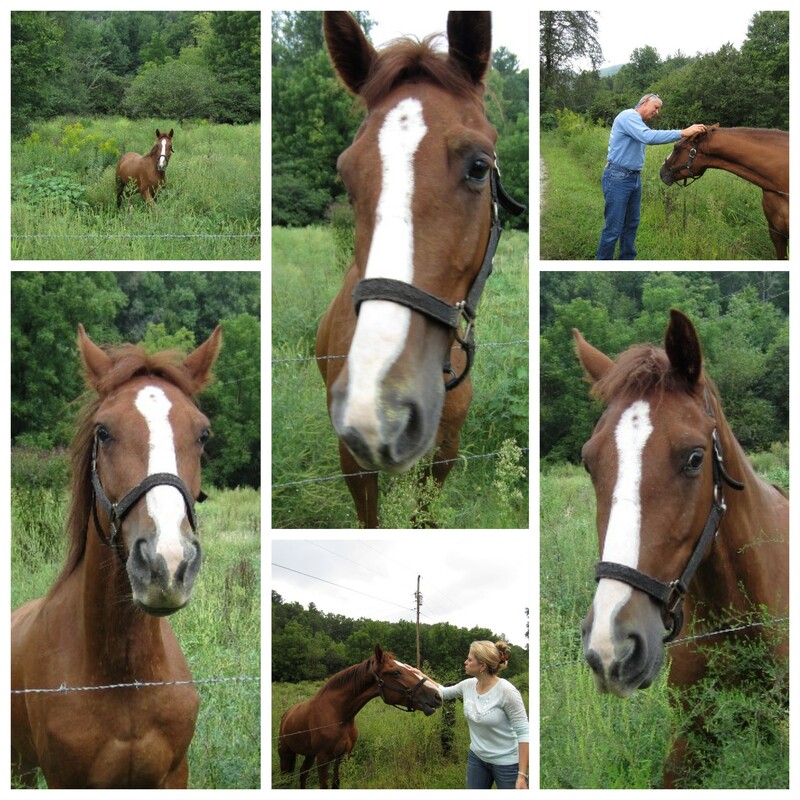 And in closing, we fell in love with this big guy. What a sweetie, he loves carrots and apples. If you happen his way, he will be down under the trees in the shade, so you’ll have to yell “Ruger,” in just the right way, to get his attention. Thank you Rick and Jennifer for a fantastic week! We never did figure out for sure if that was banjo music coming from the mountain, ya’ll best be on the lookout up there.